Jean Poore Palmer, 75 of Dyersburg, Tennessee died on Monday, January 28, 2019, at Morningside of Jackson in Jackson, Tennessee. Born Monday, July 5, 1943 in Newbern, Tennessee, she was the daughter of the late Robert Aaron Poore and the late Esther Arnett Poore. Mrs. Palmer was a 1962 graduate of Newbern High School and a 1973 graduate of the University of Tennessee at Martin. She retired in 2001 after 27 years as a second grade teacher with the Dyersburg City School System. From 1984-1986 she served as President of the Kappa Chapter of Alpha Delta Kappa, an international organization honoring women educators. She was a devoted member of First Christian Church in Dyersburg, Tennessee and member of the McDowell Music Club. Funeral services for Mrs. Palmer will be held on 11:00 AM, Saturday, February 2, 2019, in the Chapel of Johnson-Williams Funeral Home. Officiating the service will be The Rev. Brian Grow assisted by Mrs. Palmer's daughter, Mary Virginia Palmer. Interment will follow in Fairview Cemetery in Dyersburg, Tennessee. Visitation will be on Friday, February 1, 2019, from 5:00 PM until 7:00 PM at Johnson-Williams Funeral Home. She leaves to cherish her memory her husband of 47 years, Tom Palmer of Dyersburg, Tennessee; two daughters, Mary Virginia Palmer of Seattle, Washington and Anna Jane Rimel (Chris) of Clemson, South Carolina; twin sister, Jane Poore Yarbro of Newbern, Tennessee and two grandchildren, Mae Esther Rimel and Hayes Palmer Rimel. In addition to her parents she was preceded in death by her dear brothers, Robert Arnett Poore and James Patton Poore and beloved sister, Jo Wynn Gee. Pallbearers will be Richard Newbill, Scott Elliott Poore, Gary McCormack, Sam McCormack,Tommy Weakley and Zack Stroup. Honorary pallbearers will be Robert "Bob" Poore, Daniel Newbill, Jeff Fowlkes, David Caldwell, and Wade Lee Austin. Online condolences may be made to the family at johnsonwilliamsfuneralhome.com. 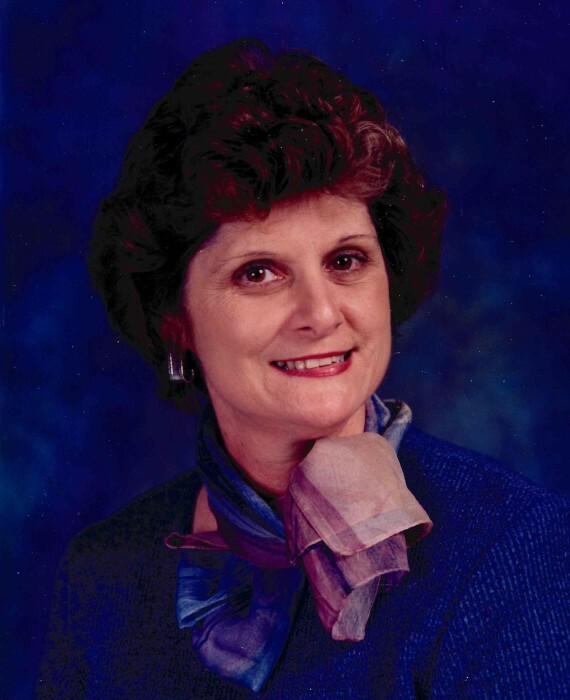 Johnson-Williams Funeral Home is honored to serve the family of Jean Poore Palmer.